A disaster is an extreme disruption in the functioning of a habitat that causes widespread human, material, or environmental losses that exceed the ability of the affected population to cope with its own resources. Landslides, earthquakes, tsunami, cyclones, droughts, floods etc are some of the examples of disasters. Disaster management is the discipline by which human beings continuously make effort to mitigate the harm caused by the disasters. Disaster management is a topic on which students are generally asked to write essays. We are providing below essays on the same with different words limit, so the respective essay could be picked up by the students as per their requirements. Disaster refers to the mishap, calamity or the grave occurrence from the natural or man-made reasons which can’t be stopped or tackled immediately by the affected community. Earthquakes, cyclones, droughts, floods etc are some of the natural disasters resulting into huge loss of lives and properties. The direct or indirect impacts of disasters, either natural or man-made are colossal damage, destruction and death. The disaster management is the discipline by which human beings continuously makes efforts to reduce the harm caused by the disasters. India has set up many departments and organizations for the same such as national disaster management authority (NDMA). But we are yet to achieve satisfactory progress with regard to timely management of disasters. This can be done by raising adequate awareness about the ways to cope with disasters and greater co-ordination between the centre and state agencies. A disaster is a sudden, calamitous event that seriously disturbs the functioning of a community or society and causes human, material, and environmental losses that exceed the community’s or society’s ability to cope with using its own resources. Though often caused by nature, disasters can have human origin as well such as major fire or leakage in a nuclear plant due to human negligence. Disaster management is a well-planned strategy for making efforts to reduce the hazards caused by the disasters. Disaster management though does not avert or eliminate the threats; it focuses on formulating plans to decrease the effect of disasters. In India, national disaster management authority (NDMA) has been set up to coordinate responses to natural or man-made disasters across the country. NDMA runs various programs for mitigation and responsiveness for specific situations. These include the national cyclone risk management project, school safety project, decision support system etc. But going by the lack of preparedness exposed by the outbreak of recent disasters in the country, the NDMA needs to make more organized and effective efforts to mitigate the losses caused by disasters. In fact, the society as a whole must make efforts to co-operate with the central and state agencies in coming out with a collective response to deal with disasters. Disaster is a catastrophic situation in which normal pattern of life or ecosystem gets disturbed and extraordinary emergency interventions are required to save and preserve lives or environment. India is one of the most disaster prone zones in the world due to its peculiar geographical characteristics as well as the poor social conditions in which the communities live which exposes them to the frequent destruction caused by the hazards. 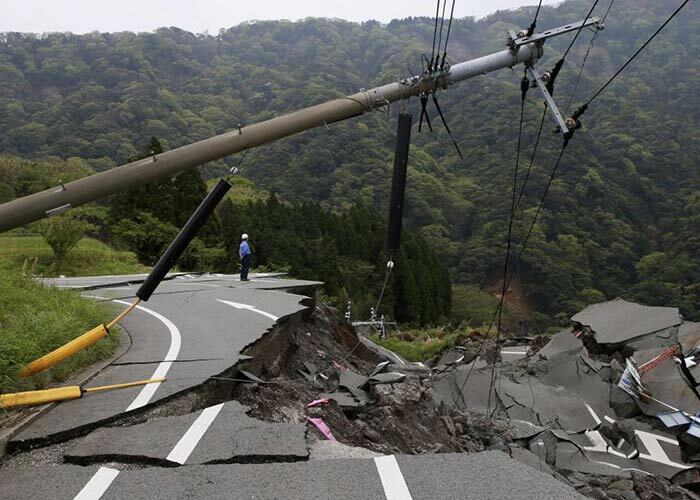 For India, the major hazards are earthquakes, landslides, drought, cyclones, floods, forest fires, fire accidents etc. Rapid growth in the population rate has certainly triggered the level of disasters. Natural disasters can only be mitigated but the man-made disasters can be prevented to a certain limit. India has taken many steps and has formed many organizations in order to mitigate, reduce and avoid the hazards of the disasters. In India, the role of emergency management falls within the jurisdiction of the national disaster management authority of India (NDMA), which is doing a great job in reducing the hazardous impacts of the disaster and is operating from a government-centered approach to decentralized community participation. But it needs much more sustained efforts to come out with a well-thought out strategy and response to minimize the colossal damage caused by disasters whenever a calamity has struck, for instance tsunami and Uttarakhand floods in recent times. We have not been able to mount adequate rescue and rehabilitation efforts to effectively deal with the situation. A disaster is a serious disruption in the functioning of a community and society as a fall-out of widespread human, material, or environmental losses that exceed the ability of the affected population to cope with its own resources. Natural disasters are the disasters caused due to natural reasons which are beyond the control of humans including floods, hurricanes, earthquakes and volcano eruptions that have immediate impacts on human lives. Man-made disasters also known as the complex emergencies are the disasters caused due to major accidents like fires, the breakdown of authority, looting and attacks, including conflict situations and war. Disaster management is a continuous phenomenon of mitigating the impact of the disasters. Disaster management calls for collective and co-ordinated efforts. A number of activities need to be undertaken in the event of disaster. These include co-ordination, command and control, rapid assessment of damage, restoration of power, tele-communication and surface transport, deployment of search and rescue teams, medicals and Para-medical teams, arrangements for drinking water and food material, setting up of temporary shelters, sanitation and hygiene identification and earmarking of resources, last but not the least, maintenance of law and order is equally important. The most vulnerable sections in these disasters are the poor. Hence it is necessary to mobilize them towards preparedness for any emergency. Quick and timely response is the essence in providing immediate relief and rescue operations, to save human lives and mitigate miseries as soon as possible. India has set up many departments and organizations for the same i.e. National disaster management authority (ndma), national remote sensing centre (nrsc), central water commission (cwc) etc. And due to the presence of so many authorities it is not feasible for all of them to take steps in a single direction. Disaster management has assumed great importance in recent times. To handle any unforeseen situation efficiently, we need to be well-equipped with latest technologies. It cannot avert the outbreak of disaster, but can mitigate its impact to a large extent. God has created everything including land, water, air etc. Nature has several manifestations – benign as well as hostile. Sometimes, it is soothing, sometimes it is ferocious. Whenever it turns to be in its bad temper, it can bring about devastation which is known as disaster. A catastrophic situation in which normal pattern of life and or ecosystem gets disturbed and extraordinary emergency interventions are required to save and preserve lives or environment can be termed as a disaster. Natural disasters are the manifestation of nature and they can take place anywhere anytime. Natural disasters: A natural hazard is a natural process or phenomenon that may cause loss of life, injury or other health impacts, property damage, loss of livelihoods and services, social and economic disruption, or environmental damage. Various disasters like earthquakes, landslides, volcanic eruptions, hurricanes, floods, blizzards, tsunamis, and cyclones are all natural disasters. Human instigated: Human-instigated disasters are the consequence of technological hazards. Examples include fires, transport accidents, oil spills and nuclear explosions/radiation. War and terrorist attacks may also be put in this category. Disasters in India: well, there is no country which is completely free from disasters and so is India. India, due to its geographical locations & geological formations, is a highly disaster prone country. India has faced a number of disasters, ranging from flood, earthquakes, cyclones, tsunami, drought, landslides. A few recent disasters faced by India include floods in Uttarakhand, cyclone “vardah” in Chennai, recurring earthquakes in northern India, chama earthquake in Gujarat, super cyclone in Orissa in 1999, bhuj earthquake in Gujarat in 2001, tsunami in 2004 and Mumbai-Gujarat flood in 2005. Besides, India has had to suffer technology-related tragedy in the form of gas tragedy in Bhopal in 1984. India also faced the problem of plague in Gujarat. The direct or indirect impact of the disasters has always been deadly, destructive and damaging. They cause loss of life to the humans as well as livestock. Disaster management is the management of resources and responsibilities in order to lessen the impact of disasters. In India, a lot of forums, funds and organizations are functioning to mitigate the effects of the disasters like national disaster management authority (NDMA), national remote sensing centre (NRSC), Indian council of medical research (ICMR), central water commission (CWC) etc. A separate fund called as “national disaster management fund” (NDMF) is also there for exclusive mitigation. Sometimes, due to lack of co-ordination between the central and state government as well as the absence of correct resources; the concerned forums, organizations are unable to provide the apt rehabilitation. To handle the situation efficiently, we need to be well-equipped with latest technologies. Disaster management cannot avert the situation, but can mitigate its impact to lessen sufferings of humans, plants and animals. Land, water, air etc are some of the beautiful creations of the almighty. Nature has several manifestations – smooth as well as hostile. Sometimes, it is soothing while sometimes it is ferocious. Whenever it turns to be in its bad temper, it can bring about devastation or destruction which is known as a “disaster”. Literally, disaster refers to the mishap, calamity or the grave occurrence from either the natural or man-made reasons which can’t be stopped or tackled immediately by the affected community. India, being very much prone to disasters due to its geographical location, earthquakes, landslides, drought, cyclones, floods, forest fires, and fire accidents are some of the major calamities that keep occurring, inflicting colossal damage. Rapid growth in the population rate and urbanization has mostly triggered the level of the disasters. Natural disaster is a natural process that may cause loss of huge lives, injuries or other health impacts, property damages, loss of livelihoods and services, social and economic disruptions or massive environmental damage. Various disasters like earthquakes, landslides, volcanic eruptions, hurricanes, floods, blizzards, tsunamis, and cyclones are covered under the scope of the term natural disaster. Human instigated disaster is also known as the complex emergency and is the disaster caused due to major happenings such as fires, oil spill, breakdown of authority, looting, wars etc. The impact of natural as well as human instigated disasters is colossal death, destruction, injuries, huge loss of the lives of humans and livestock. Since a long for now, it has been noticed that modernization is leading to grave ignorance towards the environment. Environmental bylaws are being neglected by industries. Due to over-exploitation of nature, we humans have created such a situation where events like earthquakes, landslides are increasingly being elevated to the extent that they are causing massive loss in terms of human life and property. It’s not that, every one of us is being ignorant about the environment. There are a lot of people who are very much concerned about the nature and the environment. Even, there are many NGOs which are taking the issue of global warming and pollution publically by taking out rallies and organizing several campaigns to save environment and such initiatives need to be appreciated. Disaster management is the creation of primary and secondary plans through which people’s vulnerability to hazards can be reduced so that they can cope up with disasters. The mechanism does not avert or eliminate the threats; instead, it focuses on creating the strategies to decrease the effect of disasters. National disaster management authority (NDMA) is the apex body which is mandated to lay down the policies and guidelines for disaster management to ensure timely an effective response towards disasters. A separate fund called as “national disaster management fund” (NDMF) is also there for exclusive mitigation. The natural disasters are inevitable, even if we have measures to predict/ forecast the disasters we can’t stop them from happening. The best which can be done is to avoid the practices which are hazardous for the environment which are leading towards environmental degradation, while preparing plans for our disaster management. Once a disaster strikes it leads to a massive destruction and loss of life. In case of the disasters like earthquakes, floods etc. Where a number of humans are displaced and post disaster there are a number of causalities. This is the time when the actual emergency preparedness comes into effect by giving first aid to the injured ones, providing rescue and relief operations to the victims. To handle the situation efficiently, we need to be well-equipped with latest technologies. Also, it is of utmost importance to be prepared with a proper disaster management team which can take charge as soon as possible when the disaster strikes.